Discover the benefits of marble flooring for your bathroom. It is important that every element of your kitchen is durable and can withstand your family using it on a daily basis. An area that will constantly be used is the flooring, so you need to put some thought into the material. One of the most popular and in-demand kitchen flooring materials is marble because it is strong and aesthetically pleasing. Discover a few of the benefits of investing in marble flooring for your kitchen. One of the major benefits of marble flooring is that it is beautiful and will add some elegance to your kitchen. Marble flooring comes in a variety of styles, sizes, and colors so you can choose tiles that blend in with the rest of your kitchen seamlessly. Since marble is a natural product, every piece is unique, so your marble flooring will be different that every other homeowner. Once you install marble flooring in your kitchen, it will elevate the look and feel of the entire area. When it comes to marble flooring, it is one of the most durable options on the market. It will stand up well to heavy foot traffic on a day-to-day basis. You will never have to worry about anyone in your family cooking and then damaging your flooring. You marble flooring can be expected to last for many years to come. Marble flooring is a great conductor of heat, so it is perfect to install a heating system under. You can then feel warmth under your feet which is well-needed on chilly winter mornings. 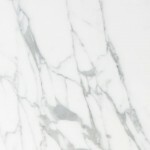 No one wants to walk barefoot cold flooring in the morning, so think about installing marble into your kitchen. Marble flooring also can be temperature controlled during the summer. This entry was posted on Friday, March 23rd, 2018 at 2:10 pm. Both comments and pings are currently closed.